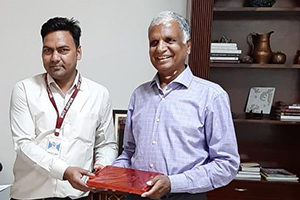 Rajasthan Institute of Engineering and Technology Jaipur, School of Business Management, Dept of MBA, organized an “Industrial Visit to Jaipur Rugs” for the MBA Ist and IInd year students on 8.4.19. 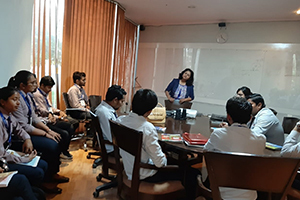 The event was organized by the HOD MBA, Dr Monika Shekhawat. 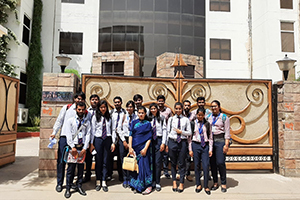 The students were accompanied by Ms Saba Jamal, Asst Prof Dept of MBA and Mr Nazar Mohammed, Asst Prof Dept of ECE. 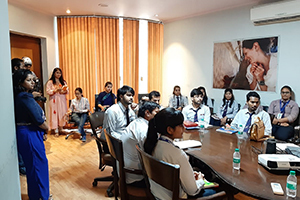 As per the programme schedule, the students reached the Jaipur Rugs Head Office in Mansarovar Jaipur by 11.15 am, after which they were given a corporate presentation and a video of the organization by Ms Charu Singh, Marketing Manager Jaipur Rugs. 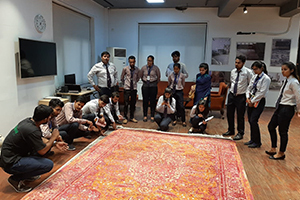 Next the students had an interaction with the Design Department of Jaipur Rugs, and they toured the Head office. They also had an opportunity to experience the craft work. The organization, Jaipur Rugs is one of India’s largest manufacturers of hand knotted rugs. 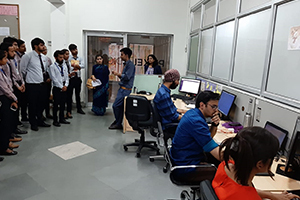 The organization is Headquartered in Jaipur, the company’s operations span across 20+ branches, 6 states and 600 villages in India with distribution to over 40 countries with its independent base of over 40,000 artisans. The company also has a large distribution base in Atlanta, United States. Jaipur Rugs was founded by Nand Kishore Chaudhary in 1978. 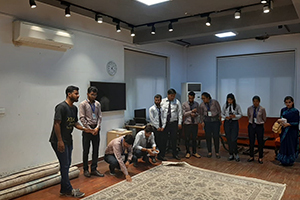 He started the carpet business with two looms and formed a company that would showcase this potential to the world, while also upgrading the weaving techniques and lives of the artisans. Speaking about the visit, Principal RIET Dr Saroj Hiranwal, expressed her thoughts and said that visit like this would provide the students opportunity to exchange ideas, learn about new inventions, learn about various management tips etc as well as it will provide a unique opportunity in broadening of their horizons with the exposure. 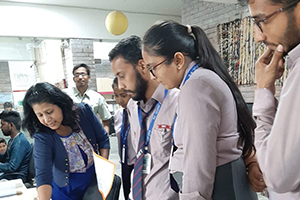 HOD SBM Dept of MBA, Dr Monika Shekhawat said that this will endow a unique opportunity for the budding Managers as they will get an opportunity to learn about management and running of an organization. 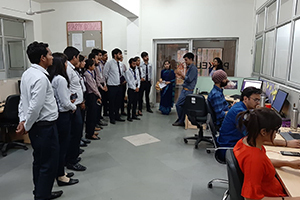 In the end, the visiting team had a very good interaction with the Founder of Jaipur Rugs, Mr Nand Kishore Choudhary. 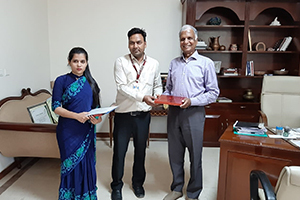 A token of gratitude was presented to Ms Charu Singh, Marketing Manager Jaipur Rugs, by Ms Saba Jamal, Asst Prof Dept of MBA and to Mr Nand Kishore Choudhary, Founder of Jaipur Rugs by Mr Nazar Mohammed, Asst Prof Dept of ECE. 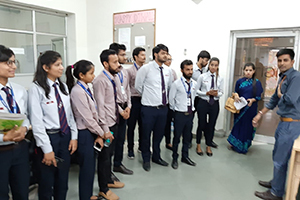 Speaking on the occasion Mr Nand Kishore Choudhary said that “I want to appreciate every single student that who have come here today for this visit. I am extremely impressed by the quality of the deep understanding of each student in his or her subject area”. The tour ended with a happy note. 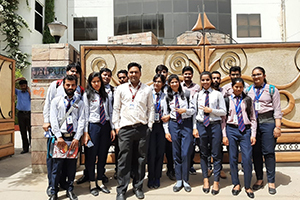 The students were very happy with the tour and expressed their feelings that they look forward to many such occasions.